Finishing touches aren’t always high on our shopping agenda. Realistically when we’re not even at the stage of thinking about paint colours yet, it doesn’t make sense to fill our home with all the beautiful items I keep spying online. 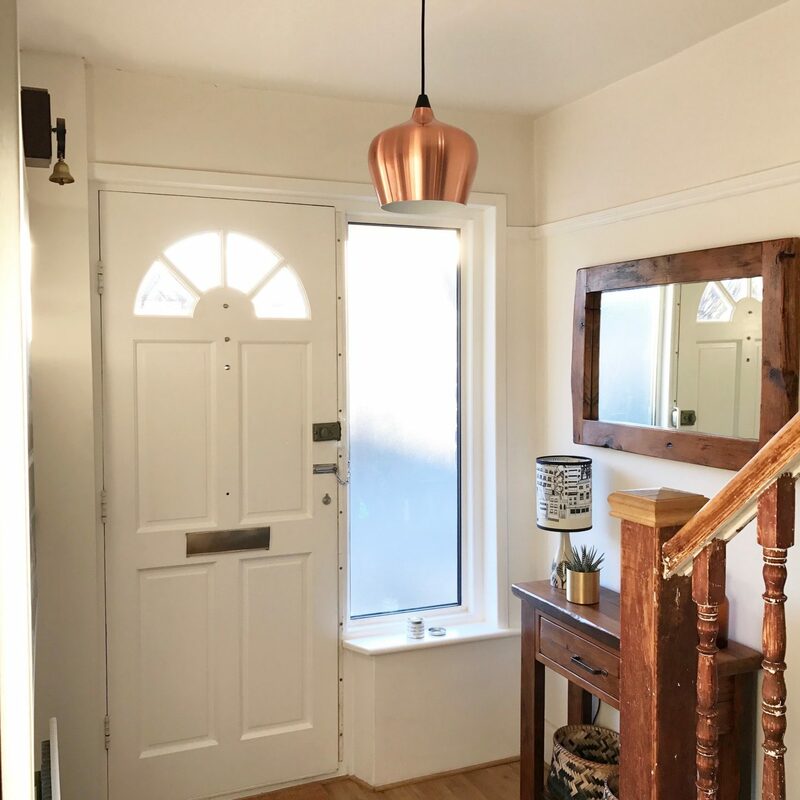 Sometimes though we both see something that is so perfect it’s a no-brainer and this happened recently when we found the perfect pendant lampshade for our hallway. 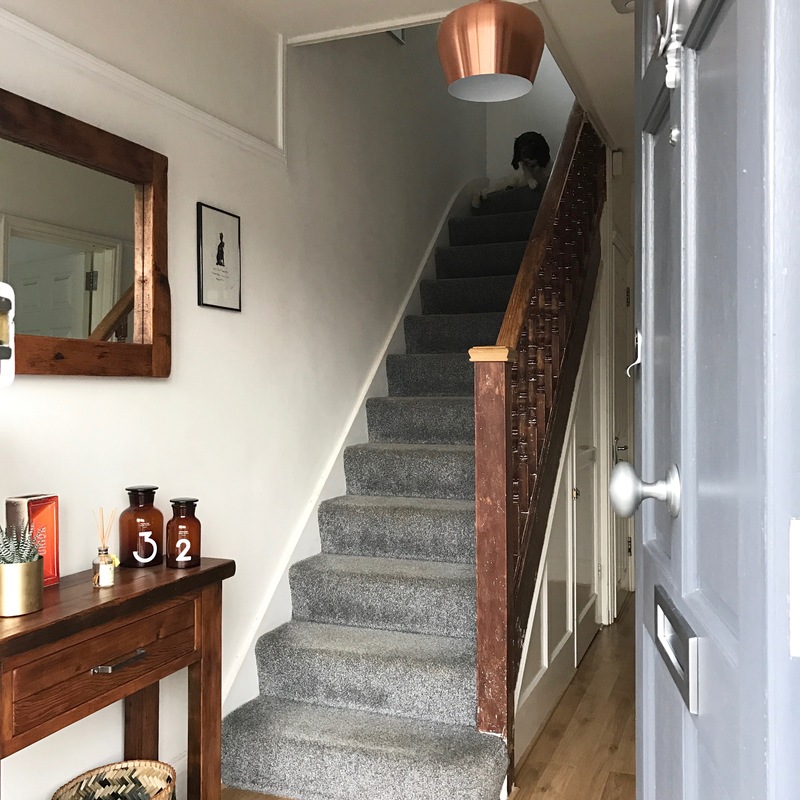 Living in a 1930’s semi-detached house means that we have a reasonably sized hall, more than just an entry porch or dumping ground for coats and shoes. 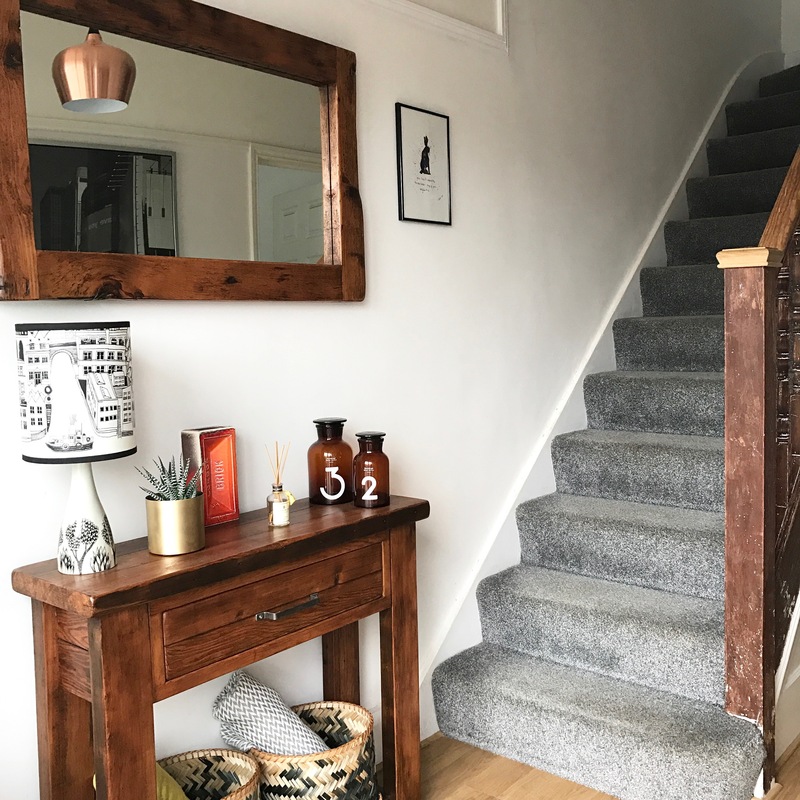 It’s a space I’ve been working hard at to make it feel welcoming and although we still have to decorate, put in a new floor and runner on the stairs and finish the staircase project, its got so much potential and will look great when finished. We were up in town a couple of months ago and popped into Heal’s department store which is an interiors-lover mecca. 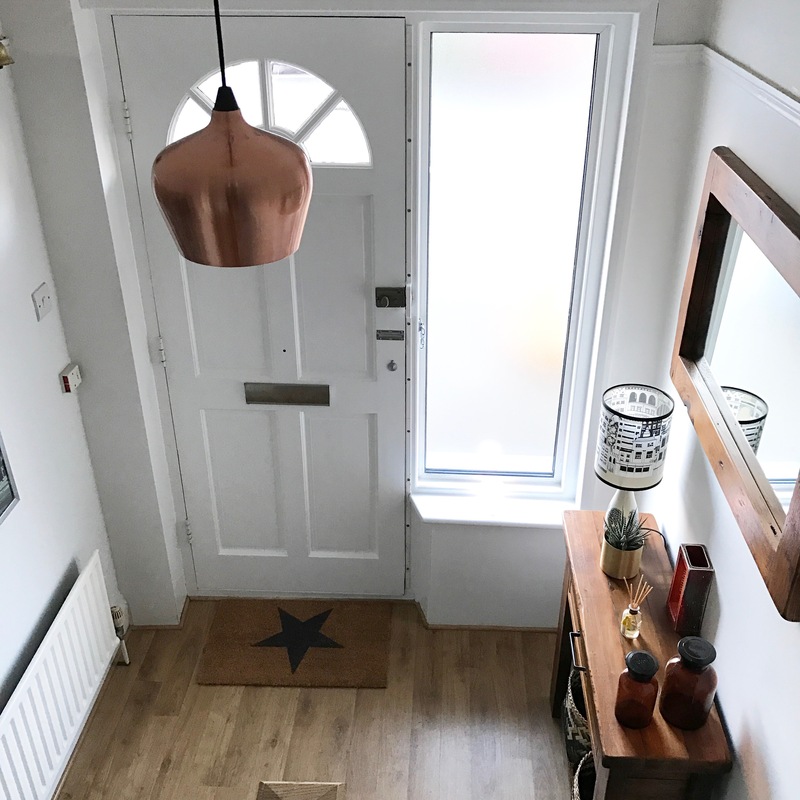 We saw a stunning copper pendant lampshade from their Cohen collection and at that point I wasn’t really sure where it would go but I knew I’d find somewhere for it. 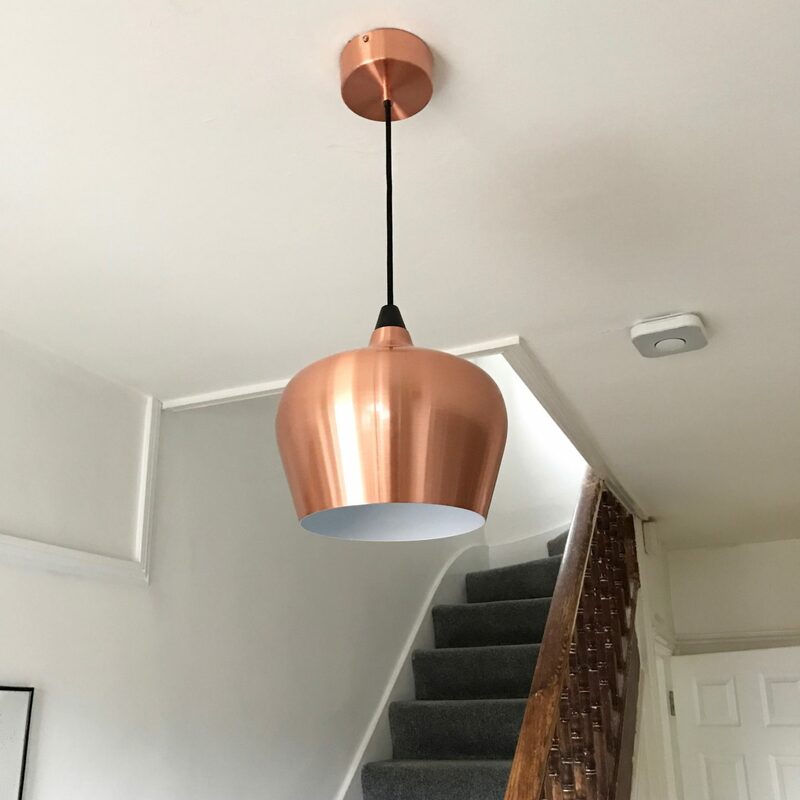 For me the best feature about it was the matching copper-coloured ceiling rose which just smacks of quality and really sets the whole piece off. P.s I see you Maddie! Ohh I love it against the dark wood on the banister and the hallway furniture, does it give off a nice warm light?